The Black Student Union (BSU) is an independent club at Saint Rose that promotes unity and social consciousness among the student body. They hold events and activities throughout the year to progress their mission and encourage an open dialogue with students of all backgrounds and beliefs. 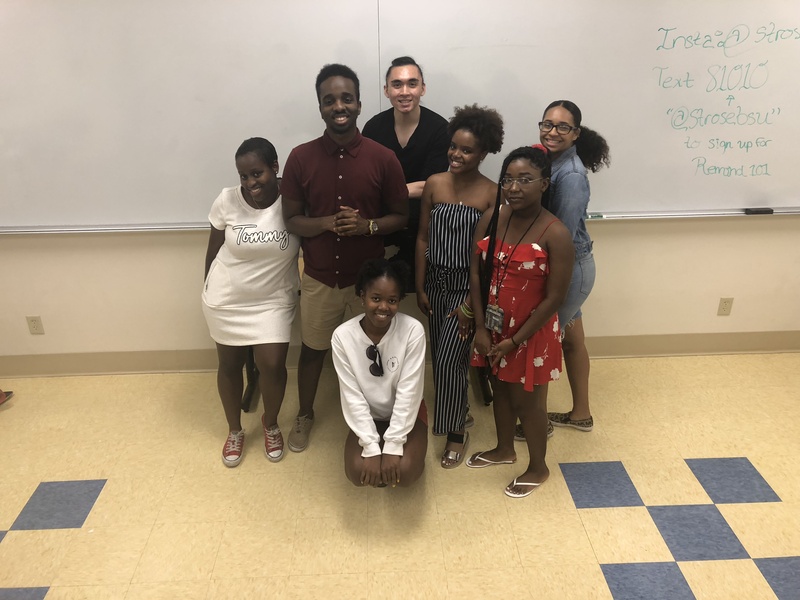 Black Student Union President Tyler Sumter ’20, a forensic psychology major with a concentration in clinical psychology, talked with us about a recent event the club held where they discussed how social media is culturally affected by people of color. In particular, Black Twitter. 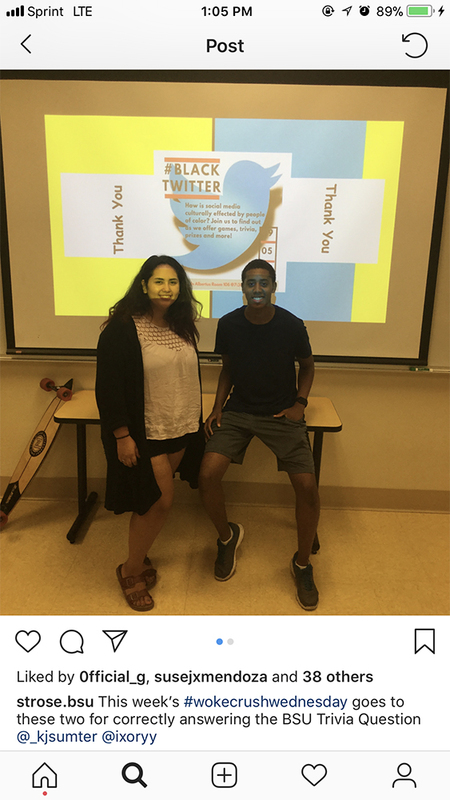 Q: The Black Student Union has discussed culturally relevant and sometimes uncomfortable topics at past events, such as social injustices in education and Black Twitter. Why are these important to discuss in today’s social/political climate? What do your audience members take away from the experience? A: These are important topics in today’s social climate because we are often silenced or filtered as people of color, as students, and as a younger generation. We are taught to watch how we say things and what we say. At the Black Student Union programs, we want the students to be uncensored, and more importantly, unapologetic about how they feel and why. We want to target what makes people uncomfortable to eventually make these conversations comfortable. We hope that our audience members have peace of mind with the idea that they have just said their peace without being judged, ridiculed, or feeling guilty. Q: Why is it important for Saint Rose community members to engage in this discussion? A: It is important for the Saint Rose community to engage in any discussion that makes people uncomfortable. Our goal is to bring the internal, external by creating a space for open dialogue on difficult topics that need to be discussed. In today’s society, it is hard to talk about cultural awareness and social injustice. The Black Student Union is here to help facilitate those conversations in a respectful manner. A: At the beginning of the event, we had Steve Dwire, who works vigorously in the financial aid office to ensure that students are financially capable of receiving an education, give a presentation on options students have to pay for school besides student loans. He educated us on many things we had no clue were even an option and reassured us that students can come into the financial aid office anytime for help. We also discussed “viral memes,” black history trivia, and awarded a student a Starbucks gift card. This program was the beginning of many things planned over the year. We have some very exciting upcoming events. Q: What’s your goal for the club this year? A: The goal of the Black Student Union this year is to bring cultural awareness to the campus. We hope that students know that we are here for them, if anything arises, we are here to help those in need. Q: What’s the mission of the Black Student Union? A: The mission of the Black Student Union is to be dedicated to educating students on the African diaspora through group discussions, activities, and safe spaces to express opinions. Q: How do you plan to progress its mission? A: The plan to progress the Black Student Union is through our biweekly meeting which will be in Albertus, room 106, at 7:30 p.m. Our next program will be on September 19. We hope to keep students engaged and active in the Black Student Union. We also hope that students know that all identities, cultures, races, sexual orientation, etc. are welcomed at our meetings.